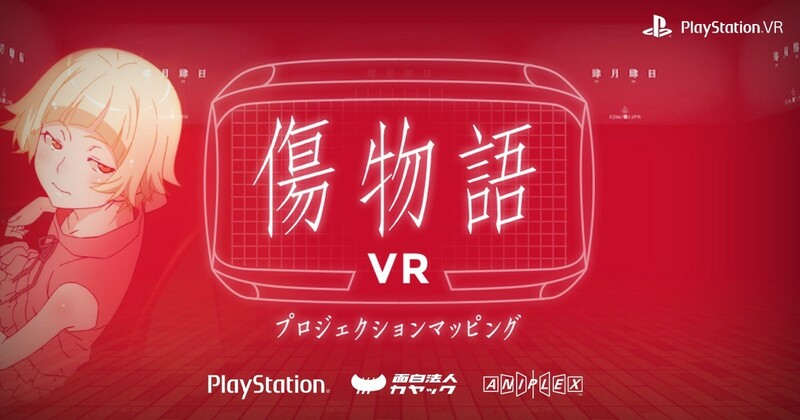 As the first step of the new PlayStation® VR (""PS VR"") video experience project, which was announced at the CEDEC 2016 in August 2016, KAYAC has developed Kizu Monogatari VR jointly with Sony Interactive Entertainment Japan Asia (SIEJA) and Aniplex. Celebrating the completion of the movie trilogy of Ishin Nishio's popular novel series with Kizu Monogatari and the release of Blu-ray/DVD, the content looks back on the movie Kizu Monogatari with main characters including Kiss Shot, Acerola Orion, and Heart Underblade. Using VR projection mapping, it delivers unprecedented experience combining VR and projection mapping. KAYAC will continue working with SIEJA in research and development and content production, striving to offer novel video experience that has never existed!